Just Because Stationery. Taking a limited number of customs right now. Re: Just Because Stationery. 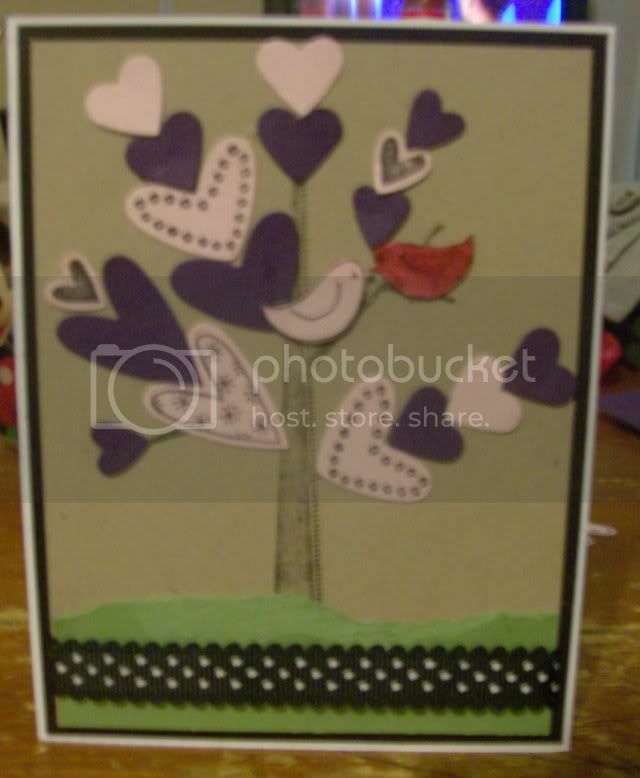 Custom handmade greeting cards and paper gifts! Now making custom designed stationery! 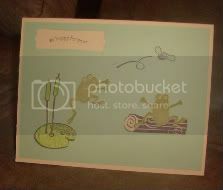 Custom "So hoppy for you" card for FutureMama. Custom card for Nada87. Blank on the inside to be used as a farewell card to a co-worker. I participated in a charity auction for the March of Dimes. I contributed a set of 5 custom designed cards. The winner looked in my gallery and liked the original Love Birds (a card I made for a friend to give to his wife for Valentine's Day). But she wanted purple and black. This is what I came up with for her. 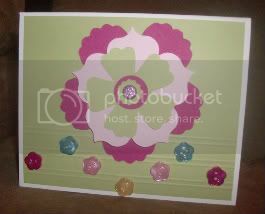 Re: Custom handmade greeting cards. Do you have a service member that you want to honor? I just ordered all three stamp sets in the Military Series from Stampin Up!